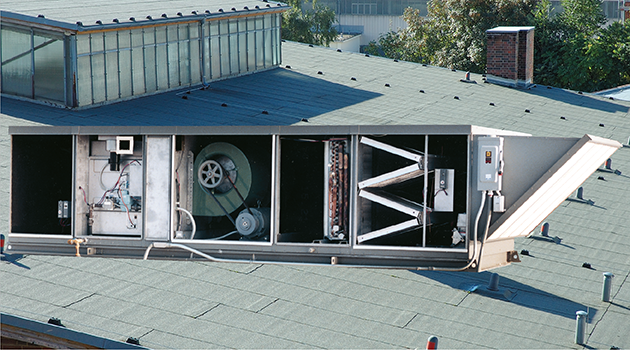 Sterling outdoor duct furnaces utilize a weatherproof enclosure to be used with standard air handling systems (or in a Sterling packaged unit). Inputs range from 100 to 1,200 MBH and are ETL approved for 20° to 90°F temperature rise. Available as either natural (RT) or power vented (PV) and for use with natural or LP gas. 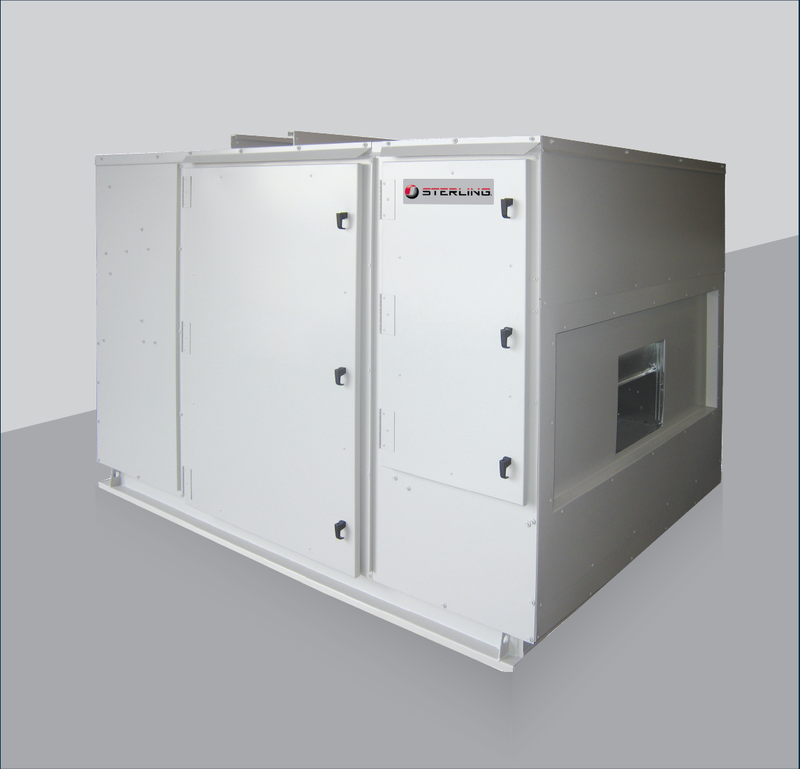 Sterling models RT and PV indirect fired make-up air systems are available in multiple configurations and vary depending on the specific application. 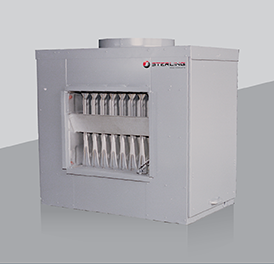 Standard and High CFM blower cabinets are designed to be mounted on a common heavy-duty skid rail with up to three outdoor gas-fired duct furnaces. Other cabinets include filter/damper cabinets, downturn plenums, coil cabinets with factory installed coils and evaporative coolers. Multiple factory installed gas and air controls are available including modulating gas control, electronic stage controllers, building pressurization controllers, and a variety of mixed air controllers. Duct furnaces are ETL approved. Sterling model AH air handlers are divided into two classifications: “Standard” and “High CFM.” Standard air handlers have a CFM range of 1,500 to 8,000 CFM and are available factory assembled with evaporative coolers and downturn plenums. 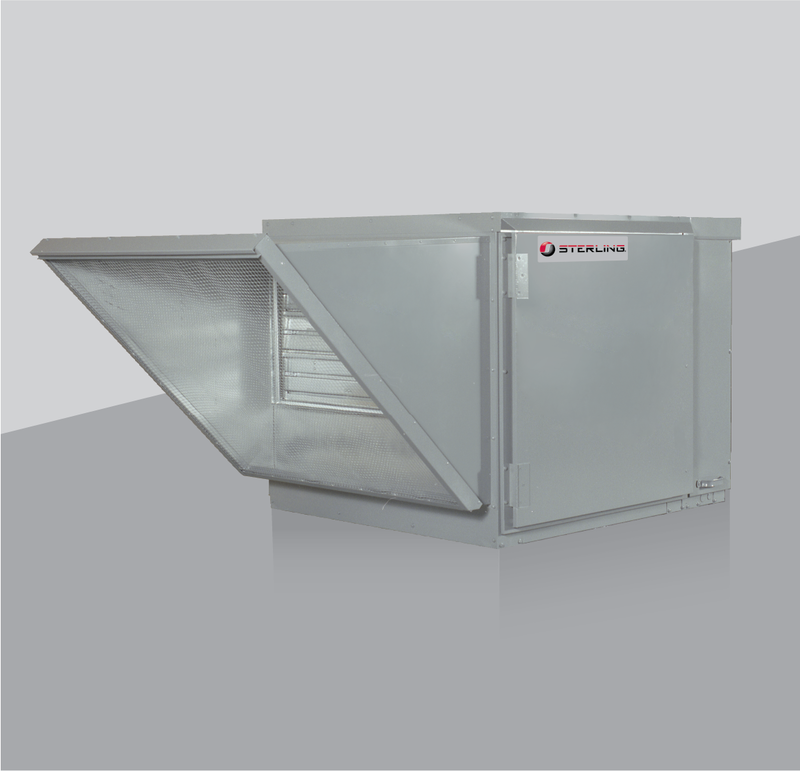 High CFM air handlers have a CFM range of 3,000 to 15,000 CFM and are available factory assembled with coil cabinets (up to 30+ tons) and downturn plenums. Both units can be used for indoor or outdoor applications. 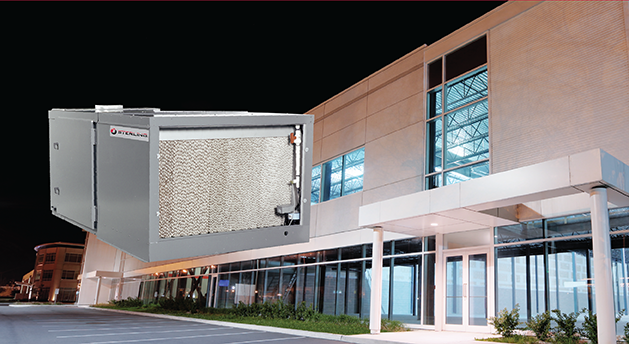 Sterling EV evaporative coolers are available in four sizes ranging from 800 to 8,500 CFM. 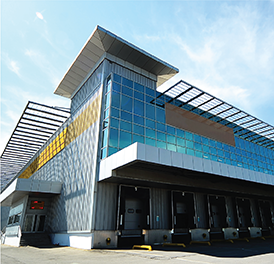 Units utilize 8" CELdek® media as standard (with optional 12" CELdek® and 8" or 12" GLASdek® available). All feature a full size stainless steel sump, heavy duty pump with low water cutoff, 1" media standard and a low water cutoff control. 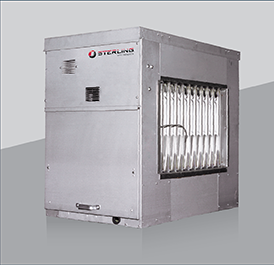 Sterling evaporative coolers are available as stand-alone units or factory assembled arrangements including a Sterling air handler. 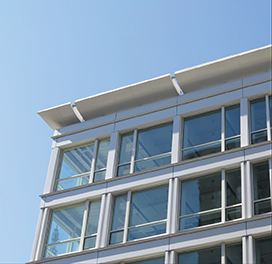 The Sterling ERMS unit is an outdoor rooftop-mounted, electrically controlled air pre-conditioner utilizing an AirExchange Energy Recovery Cassette to reduce the heating and cooling load placed on the HVAC unit by untreated outside air. Outside air will be drawn through the ERMS cassette by the ERMS supply blower and shall be discharged directly into the rooftop unit return air. Units are available in sizes 800 to 14,000 CFM. Energy Recovery Module utilizes a 70+% effcient energy recovery wheel, which allows for a reduction in the size of the mechanical cooling and heating. Energy recovery wheel performance is AHRI standard 1060 certified and the entire unit is ETL agency tested and certified.